Start oiling up the mitts and start dusting off the cleats… baseball is back, and with it Fantasy Baseball. With Opening Day only 5 days away, many of you will have your fantasy baseball drafts this week. Like in all fantasy sports, that first pick is the pivotal one, and even more important when it comes to selecting the ace of your fantasy staff. So without further adieu, here are my Top-10 starting pitcher rankings and the top 5 bullpen arms in the game for the upcoming Fantasy Baseball season using Roto scoring. Agree? Disagree? Let us know in the comments section. For hitting advice, check out HBT’s Top-10 positional rankings here. To see some 2016 Mid to Late Round Fantasy Baseball Keepers, check it out here. Rundown: Finishing no worse then 3rd for the NL Cy Young in 5 straight seasons speaks for itself. 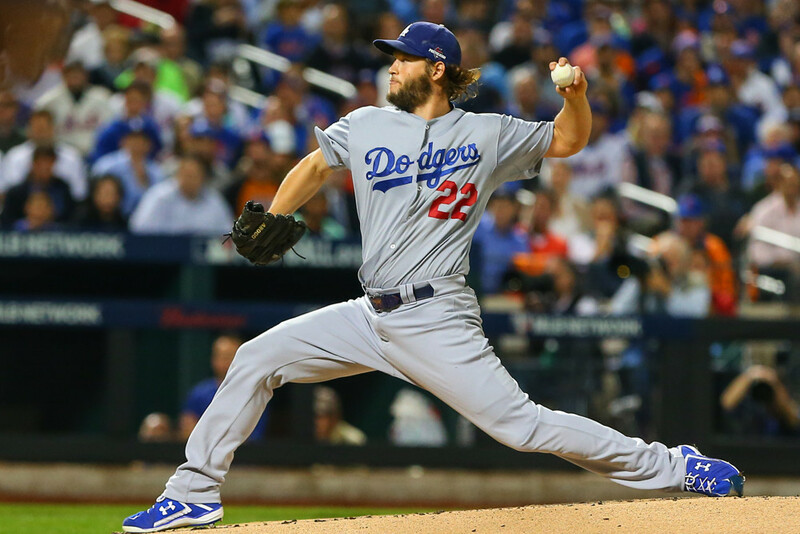 Kershaw is the epitome of dominance in the regular season. He has had at least 200 strikeouts since 2010 (including 301 last season), hasn’t had less than 16 wins since 2012, and his ERA hasn’t been above 3.00 since his rookie year. Lock him in if you get the chance. Rundown: The reigning NL Cy Young winner, Arrieta went 22-6 with a 1.77 ERA and struck out 236 in what was a truly historic year. With this stacked Cubs roster expect the wins to continue to pour in even if his ERA may raise above 2.00. Rundown: Price was the key to the Blue Jays run at the playoffs after they acquired him at the trade deadline. Now Price is headed south to Bean Town where he will man the Red Sox pitching staff that was in desperate need of help. While he leaves the ridiculous lineup of Toronto, the Red Sox offense is fine as they were top 5 in runs scored last season. 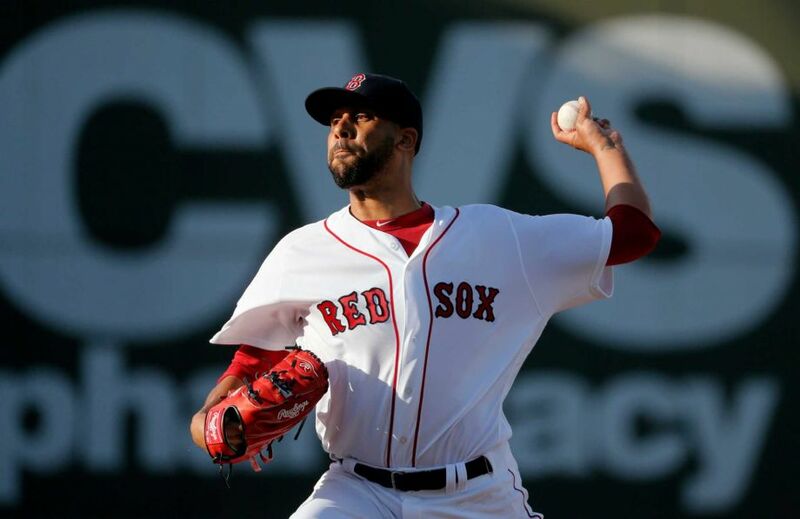 David Price hopes to take his 19-5, 2.45 ERA, 225 k season that was good for 2nd place in Cy Young voting to his new home at The Fens. Price has proved over his career that he is a regular season ace only twice pitching above a 3.50 ERA. With this Boston lineup he should do just fine. Rundown: Greinke had a Cy Young caliber season last year for the Dodgers finishing 2nd in voting with a 19-3 record, 1.66 ERA, and 200 Ks. Greinke is now with the Diamondbacks and their very pitcher friendly ballpark. Couple that with the now revamped Diamondbacks offense and you got yourself a recipe for success. Rundown: Scherzer had a rocky first season with the Nationals, but then again the Nationals as a whole kind of imploded. Scherzer went 14-12 with a 2.79 ERA and 276 Ks. With a new manager and new goals hopefully Mad Max can get back to his dominant form where he went 21-3 and 18-5 with the Tigers in 2013 and 2014 respectively, winning a Cy Young in ’13. The talent is there, it’s just a matter of Washington can get their act together and not *cough* choke teammates. Rundown: Cole had his breakout year in 2015. The former first overall pick showed his potential when he went 19-8 last season for the Bucs, and when you throw in his 2.60 ERA and 202 Ks, that’s the recipe for one great season. 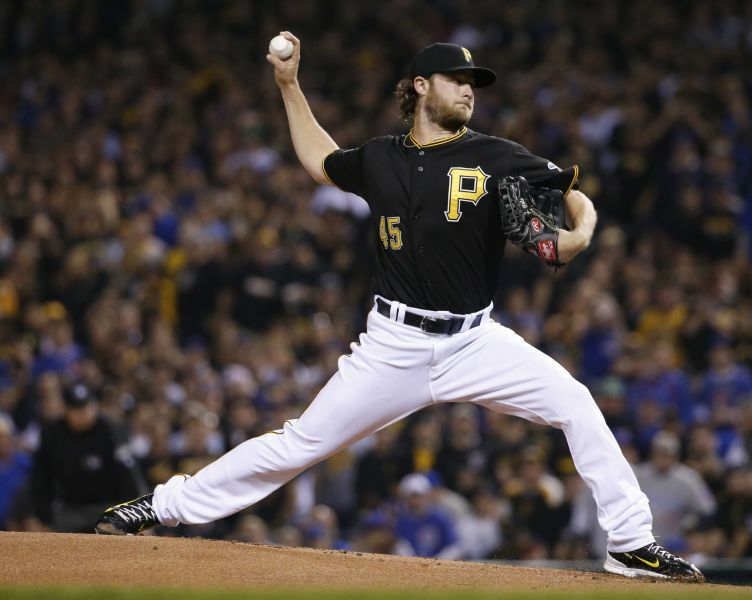 If he can build on that success Cole can be the ace the Pirates, and your fantasy team, need. Rundown: The two words to describe Bumgarner are clutch and consistent. The past 3 seasons he’s had 9-10 loses and 13+ wins with exactly 18 victories in back to back seasons. His ERA has been 2.77, 2.98, and 2.93 respectively and he strikes out around 220 a season. Not to mention he can handle himself with a bat about a .250 average year to year, 5 homers last year, 4 the season before. Those are called pitchers who can rake. Rundown: The White Sox are a doomed team. The only bright spots are Jose Abreu and Chris Sale. 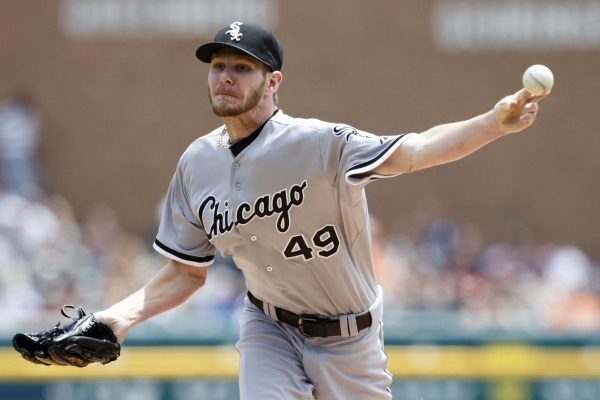 Chris Sale will win you ~13 wins, have a sub 3.50 era, and strikeout 250+. The problem is he gets little to no run support. He is essentially King Felix 2.0. So if you get him don’t expect the wins to pour in, but he is still a solid ace and who knows this could be the year he’s finally dealt and he could have a Price-esk 2nd half. Rundown: Last year was the first real glimpse people got to see of deGrom over an entire season, and the man did not disappoint. He went 14-8 with a 2.54 ERA and 205 Ks. deGrom was crucial in the Mets past success and their success going forward. In his 2 seasons in the league his ERA hasn’t even gone near 3.00 and he’s finished with a winning record (9-6 and 14-8). This kid knows how to win. Expect him to build upon this and become a dependable, if not, ace caliber starter. Rundown: This is the stretch pick of 2016. Kluber was the Cy Young winner in 2014 before he came back to have a mediocre 2015. Kluber went 9-16 in 2015 with a 3.49 ERA. 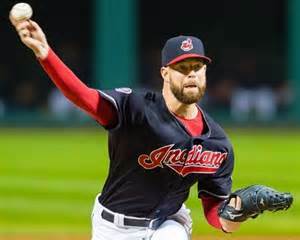 Yet again a product of no run support, Kluber led the league in loses, but if he can get back to form like he was in 2014 when he was 18-9 with a 2.44 ERA then he is dangerous. I expect something far closer to his 2014 stat line this season. Rundown: Kimbrel was lights out in Atlanta before he had his worst year last season on the dreadful Padres, but if he can have 225 saves in Atlanta he sure can do some damage with the Red Sox (especially considering a 40+ year old has been anchoring their bullpen in recent season). Expect Kimbrel to get back to form and to the tune of a sub-2.00 ERA with above 40 saves. 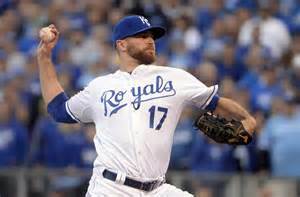 Rundown: The past 2 season have been rejuvenating for Wade Davis. A converted starter, Davis has had an ERA of 1.00 or lower in back to back seasons and had 17 saves last season, his first real crack at the closer’s job. Announced to be the closer of the future for the Royals, Davis has proven he’s the real deal, including his dominant playoff performance (0.00 ERA in 8 games/10.2 IP) that has made him a staple in the Royals’ bullpen. Rundown: 142 saves in 6 seasons, 2.28 ERA, and 16 wins show that Jansen is a lights out closer. He may not be Kimbrel or Chapman status, but he has an impressive K/9 of 14. Jansen is a must own closer on a good team who hasn’t had less than 28 saves since 2012. Rundown: If Ken Giles can have an era of 1.18 and 1.80 in back to back seasons with the Phillies, he can do some damage with Houston. Giles was acquired by the Astros in the offseason and he will significantly improve their bullpen and possibly yours. Officially named the closer in Philly, Giles proved he can shoulder that load by saving 15 in 2015. If the Astros can exceed expectations in back to back seasons, expect mighty things from this highly touted closer. 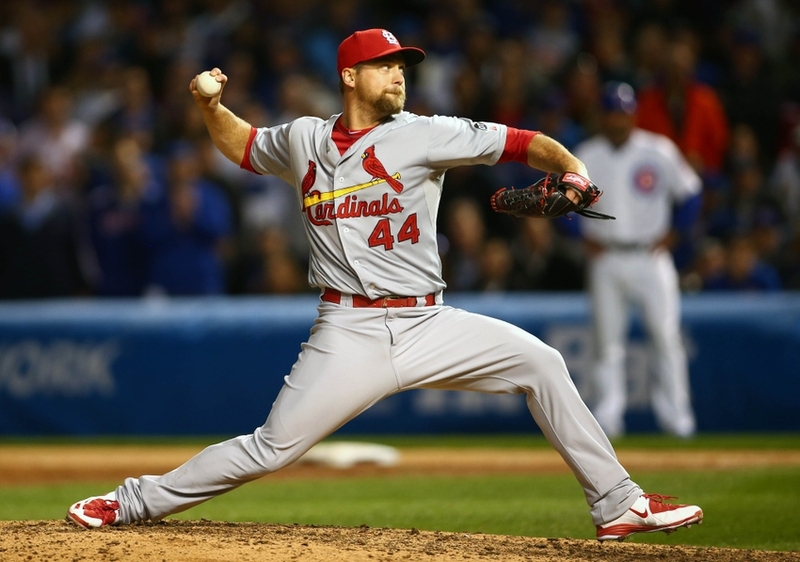 Rundown: Another season, another Cardinals closer. They seemingly rip thru these closers, with each of them succeeding for the birds. Salas, Motte, Mujica, and it looks like Rosenthal is here to stay. He’s officially been the closer since 2014 and has racked up 93 saves to go with his 2.65 average ERA. The Cards have been a force for the past 10+ years so expect the wins to keep coming and the save opportunities to keep pouring in. Rundown: Like him or not, this fireball spitting pitcher is arguably the best closer in the game. The only reason he is off the Top 5 is because of his off field issues and his 30 game suspension for a domestic violence charge (since dropped). Chapman has the MLB record for fastest pitch, throwing a ball over 105 MPH (scary), and in 6 years in the league he’s accrued 146 saves, 19 wins, and 546 Ks (at a terrifying 15.4 K/9). Chapman has since moved on to the Yankees in what could be the most terrifying back half of a bullpen in the MLB with Andrew Miller and Dellin Betances. Expect more saves and even more strikeouts, after he serves his suspension that is.